The Pocketwatch Mouse is a breed of mouse found in the Rodentia region. Don't let their small size fool you; Pocketwatch Mice can hold a massive amount of potential energy stored within their high-tension springs. As books are knocked from shelves these small mice unleash their energy to slash pages to pieces using their paws and tail. Pocketwatch mice have no specific preference for any kind of cheese. The Pocketwatch Mouse drops the Pocketwatch Egg during the annual Spring Egg Hunt. 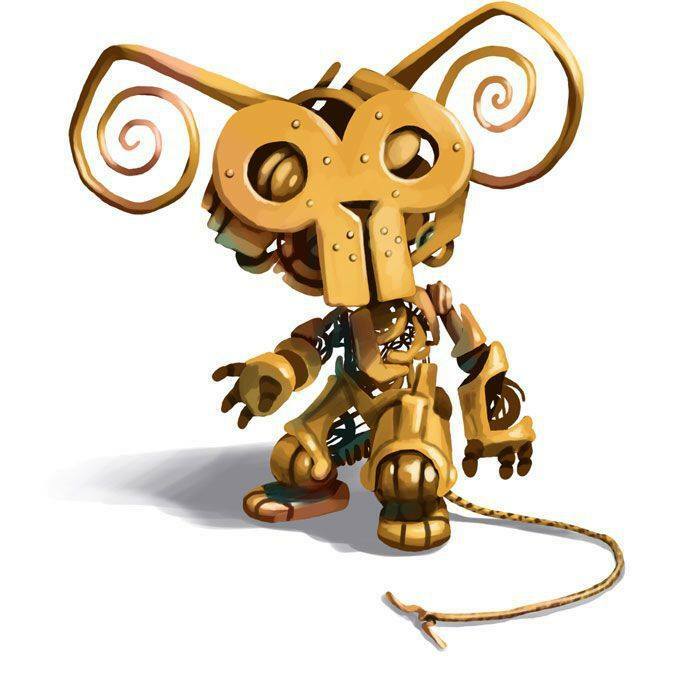 Pocketwatch Mice were introduced on 9 August 2011 with the release of the Crystal Library location. During the weekend event starting 26 August 2011, the Pocketwatch mouse dropped the Acrostic Research Assignment envelope as loot, which could then be opened to start the Acrostic Research Assignment. During the Spring Egg Hunt 2012 event, Pocketwatch mice began dropping a bonus Pocketwatch Egg as loot for hunters who had obtained the Eggscavator. This page was last edited on 27 May 2017, at 00:31.